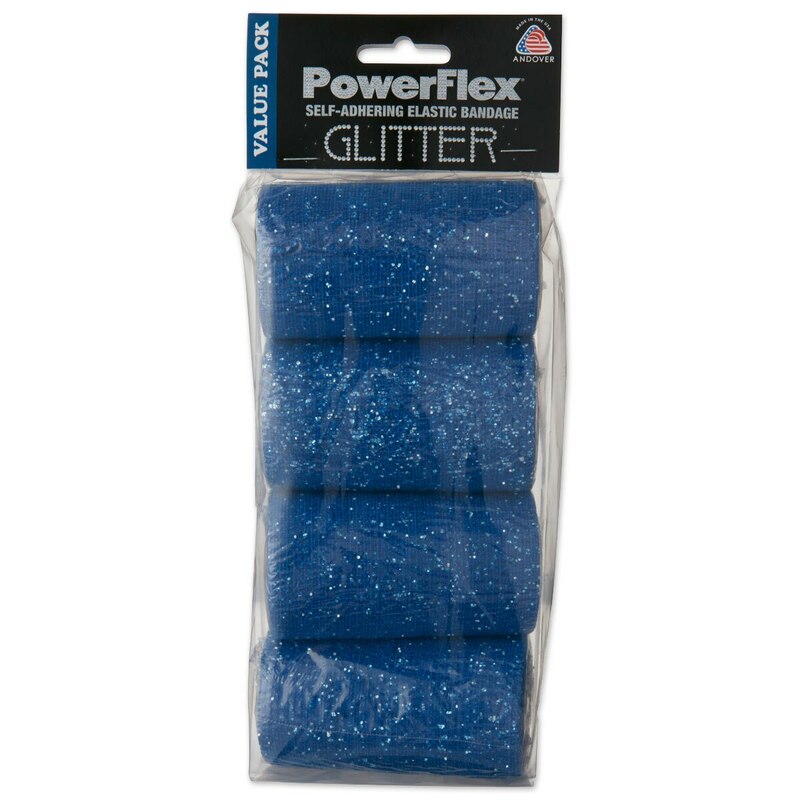 PowerFlex Bandages offer superior strength and performance with abrasion and wear resistance up to five times that of any other support bandage. 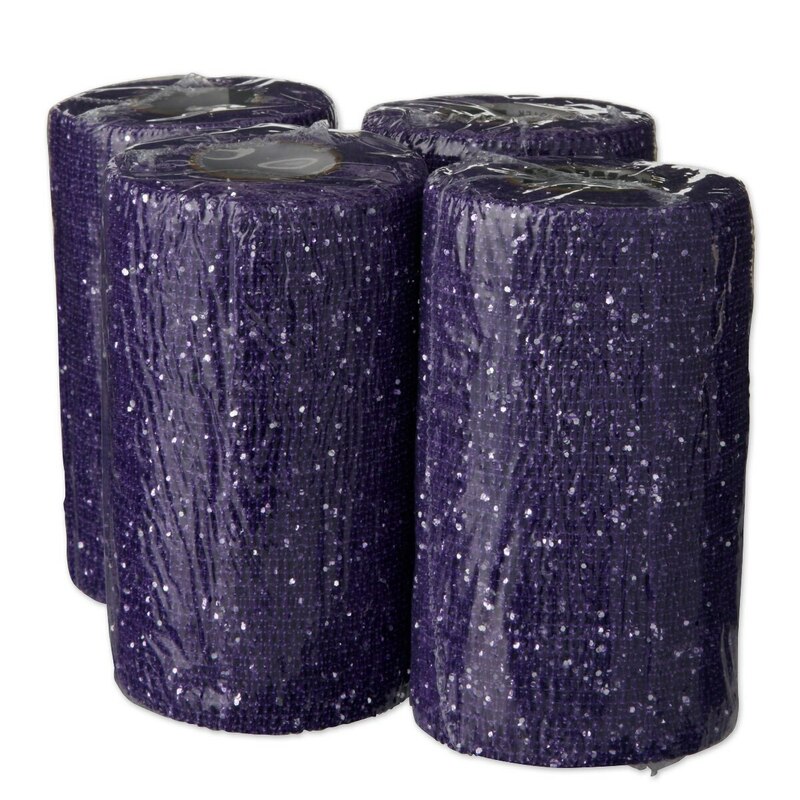 Provides dense protective padding that is soft, lightweight, and comfortable. For use with horses, dogs, and most other animals. 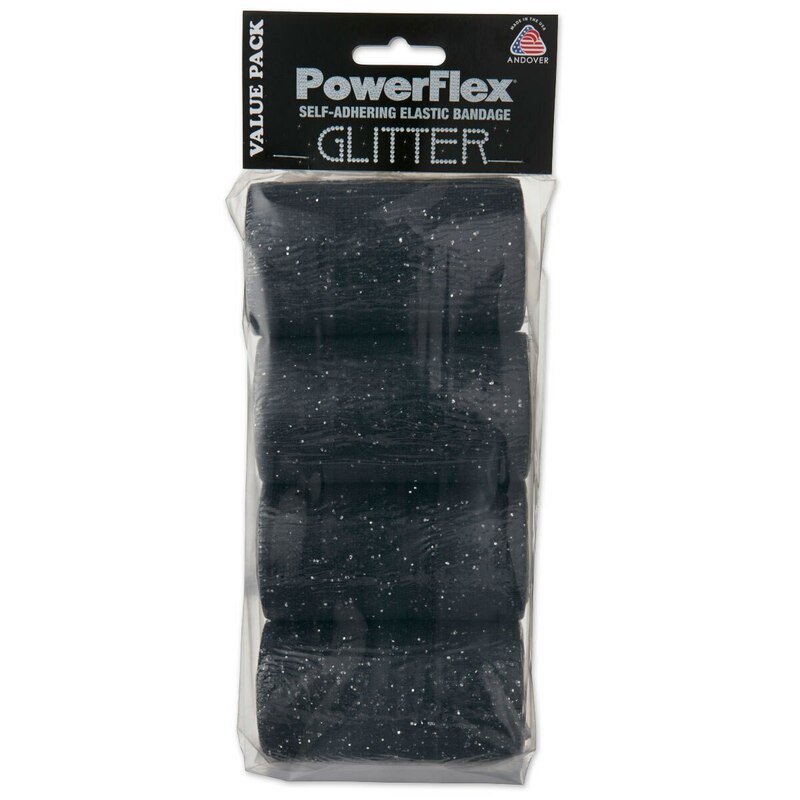 When used with horses, PowerFlex Bandages provide the best support for tendons and ligaments, can be used as a hoof wrap, and can be re-used as a morning workout bandage. 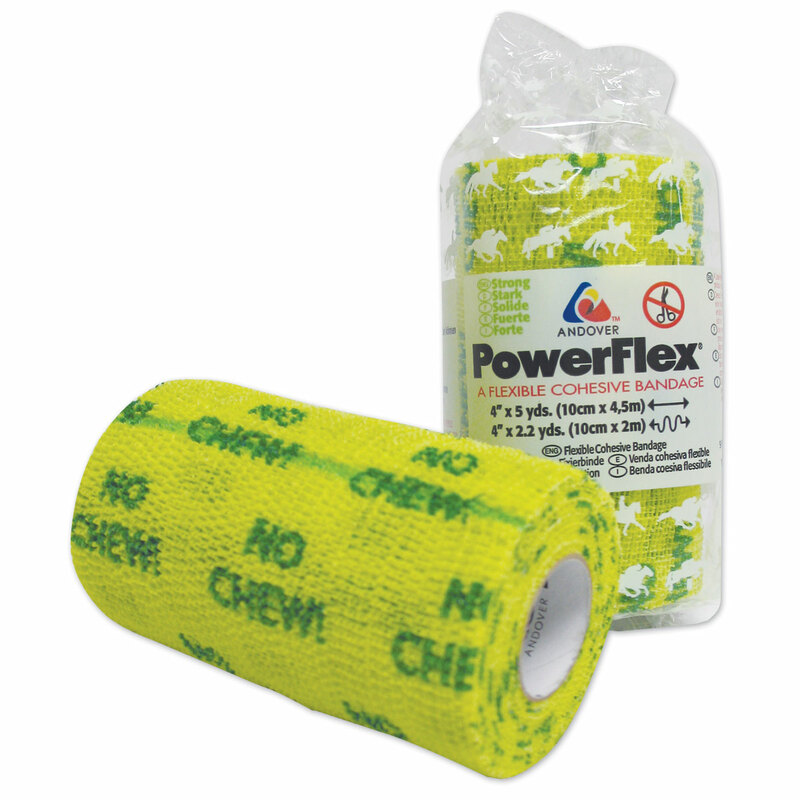 PowerFlex Bandage is rated 4.7 out of 5 by 54. 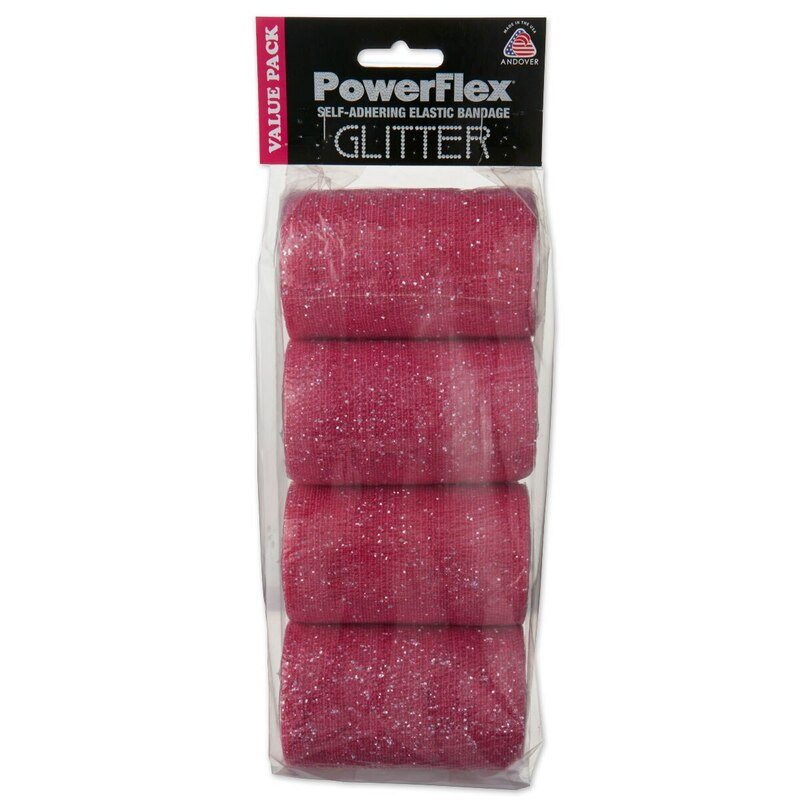 Rated 2 out of 5 by Sadaboutglitter from It’s pretty not practical It works as well as any vetwrap but the glitter falls out as soon as the animal moves. Rated 5 out of 5 by rjs734 from Does the job! Happy I was able to get these bandages and take advantage of a sale price. 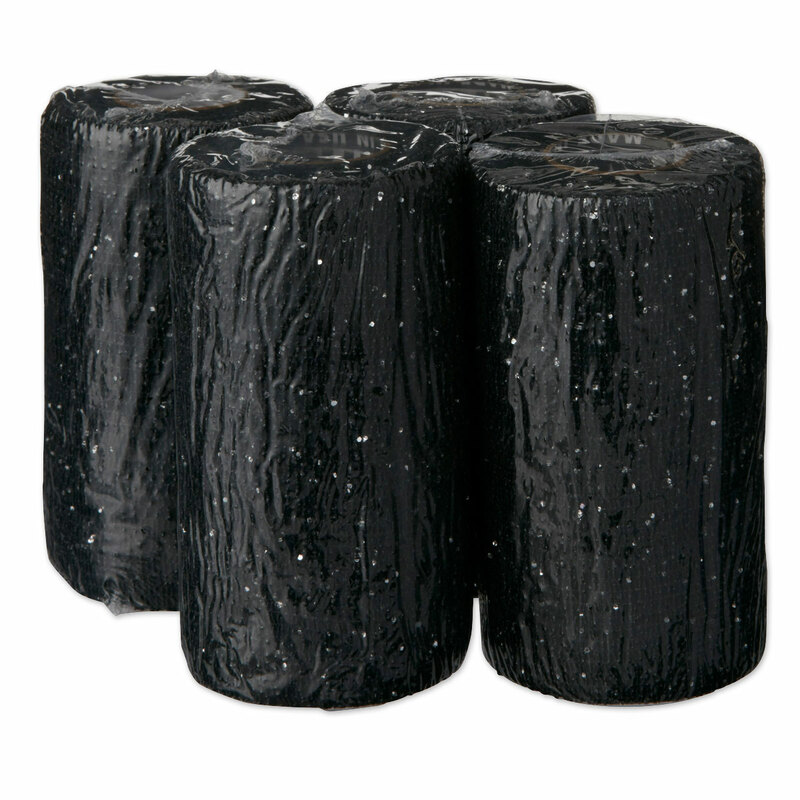 Rated 5 out of 5 by Kara from Fun and Inexpensive This is a great less expensive alternative. 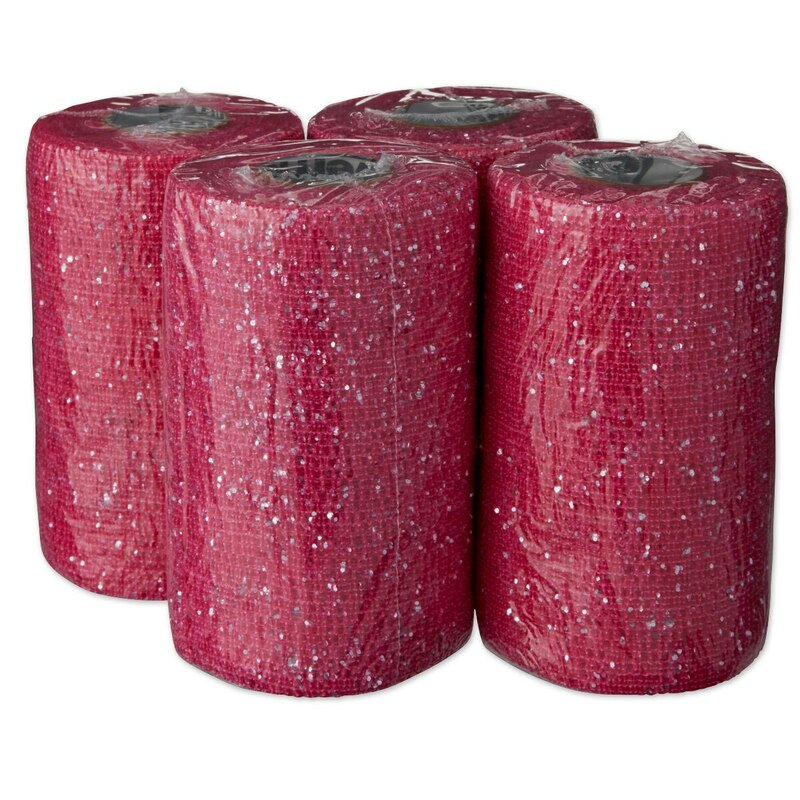 Also the pink sparkly color is super fun to use for my mare who needs to get her feet packed from time to time! the 4 pack is very handy! Rated 5 out of 5 by horsepoor3 from works just fine Very happy with this. It has held up for the 2 days in a row for the bandaging that I needed. Rated 5 out of 5 by Mary from Does its Job! This product works as well as any other brand of self-sticking bandage that I have tried, and it costs less than most competitor brands. 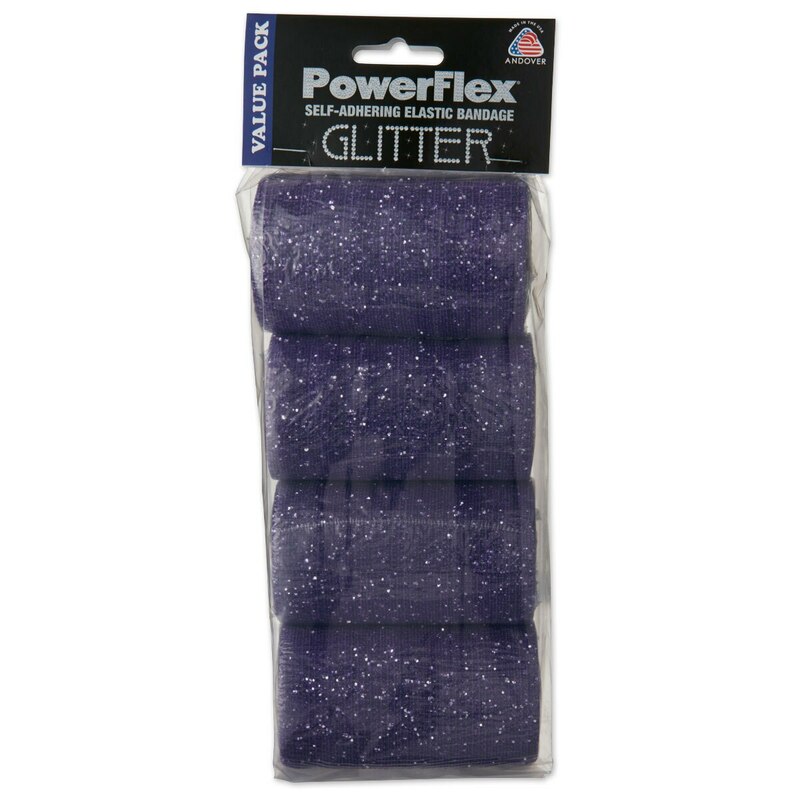 I only have two complaints- the product has an odd smell to it and the sparkly bandages lose their glitter. Rated 5 out of 5 by Meastro mom from Easy Nice product, easy to use and stays where I put it. Rated 5 out of 5 by noted from Just as good as 3m but cheaper. I couln't think of any reason to pay more for 3M when this type seems identical and I was right: no different and cheaper. Rated 5 out of 5 by ChrisS from Works as well as the other brand! What a pleasant surprise to find that this much more economical alternative to the name brand works as well. I'll be saving even more money on the future with the great product. Rated 5 out of 5 by Rachel from Nothing negative to say! 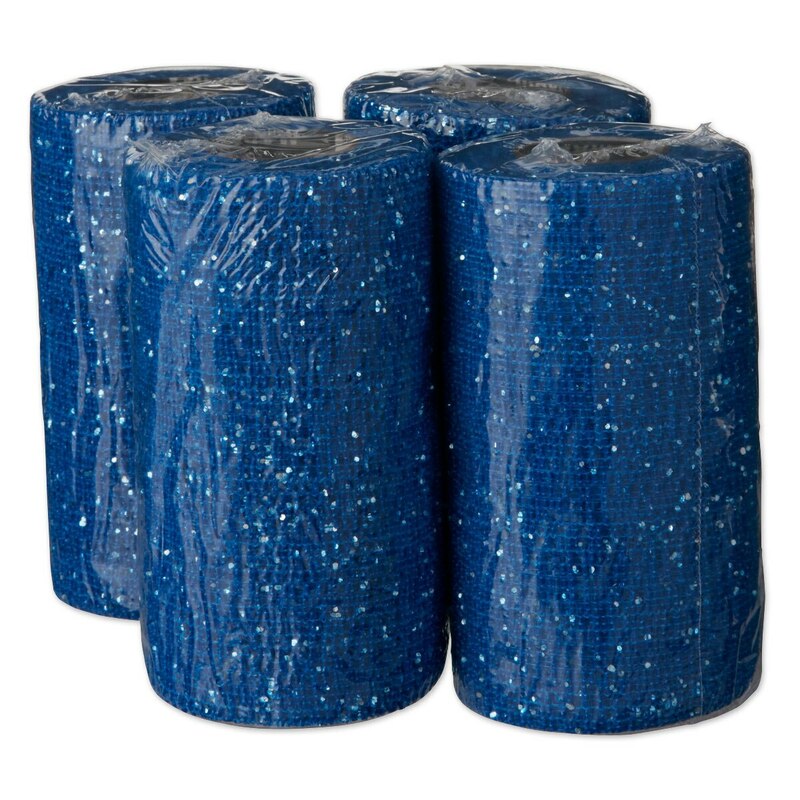 I have to wrap my ankles when I ride, so I buy this stuff a lot. This brand is one of the easiest to tear while putting it on. I wish it came with more, but it is very cheap. I love the purple! Rated 5 out of 5 by Slicksgal from Great Quality for the price Excellent alternative to the name brand product which is so much more expensive. Love the color selection and value.